Why is it so hard to be a church visitor? Why is it so difficult to walk into a new church? Even if you’ve been steeped in church culture for years, being in an unfamiliar environment is unsettling. If you get there a few minutes early, you awkwardly sit by yourself while people around you catch up on each other’s news. If you get there a few minutes late, you have to go through the painful ordeal of finding a seat while everyone else is already standing to sing, or worse, sitting down and watching you walk down the aisle. You stumble through the service feeling inept, trying to decipher the hymnal from the chorus book, then realize that all the music is printed at the back of your bulletin anyway. You try to follow the sermon without being too critical and try to forget how it’s different from the church you left behind. You try to worship without distractions, but it’s hard. And then there’s the visitor who has never been inside a church before. Magnify that out-of-place feeling by one hundred. In the past 4 years, I’ve had the chance to be a first time visitor in lots of different churches. I travel and speak around the US and Latin America and it gives me a chance to visit. Did anyone notice this first time church visitor? Recently, we’ve been attending a church for the last six weeks or so, while we are preparing our own church for its launch. They have two critical elements to growing a church (see this post: Only Two Things grow a church). But even after 6 weeks, no one has said hello to us. That makes it very hard to keep going, even though we know we won’t stay connected when we launch our new congregation. When you review your hospitality ministries and your first guest experience, think like a church visitor. Spatial anxiety – not knowing where anything is or how anything is done in your church. Social anxiety – will I fit in, will these people like me, do I have a place to serve. Maybe because I teach on this stuff, I am aware of my emotions when I enter a strange place. I’ve made notes about typical questions that I ask, what I look for, and have grown these observations into a full fledged e-book that I sell at in the EvangelismCoach store. 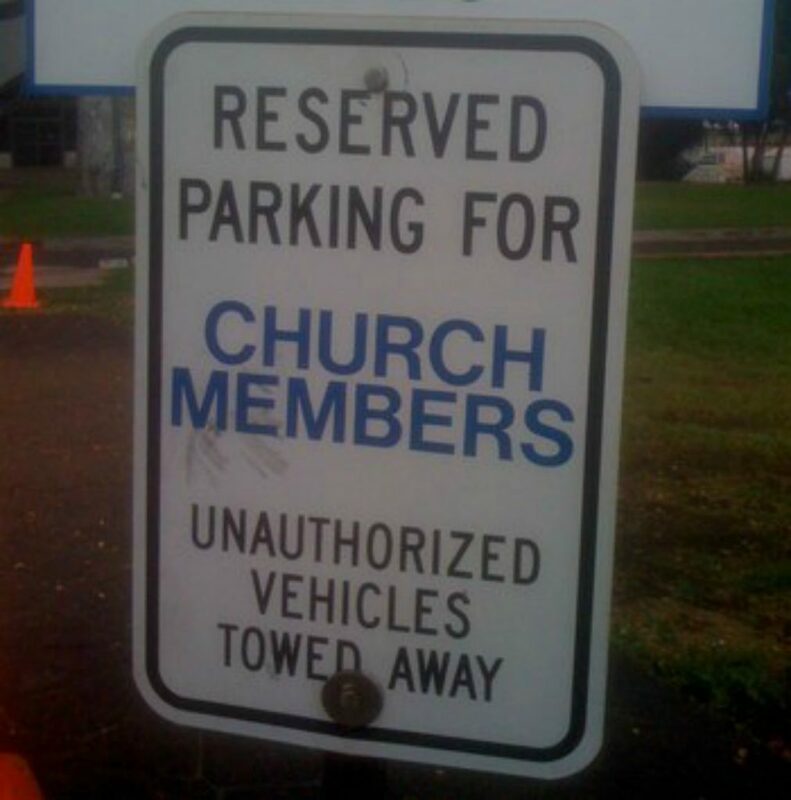 In that e-book, I help churches evaluate their church hospitality systems from parking lot to the pew. One of the critical exercises is to develop empathy for the first time visitor in your midst. By developing that empathy, you will see things that you can fix in your own church. Let me ask you this? What are some ways you can develop empathy or an emotional awareness for your first time church visitor? How can you change some of your hospitality practices to calm those emotional responses? You might like to read . . .
Been to the same church for nearly 10 years and still no one wants to sit next to me during worship even on special days when the church was packed ie bishop’s visit. could it be I am coloured? perish the thought! I once had the whole pew to myself whilst everyone was shoving and pushing for seats in pews around mine. So much for Jesus being Jewish. When I go to visit a church, then people treat me like I’m a witch or a terrorist , but I’m just a Christian, I make a decision to not return to that church. If I walk into a church and the pastor tells everyone to gather in groups and say a prayer, I feel very alone, especially if I don’t know anyone. Then I decide to never return to that church again. There’s many reasons why a person will not return to a church or stop going all together. But I still read my bible and pray at home. I have found it hard to be a church visitor. Trying to find a way to make new friends, find a place to serve, have an encouter with God during worship, experience the Sacred, all of these desires propell me to find a church home for my family. But the human element is a reality – people who don’t care we exist, suspicion because of some “otherness” about us, etc. These create social dynamics that make it hard to enter.